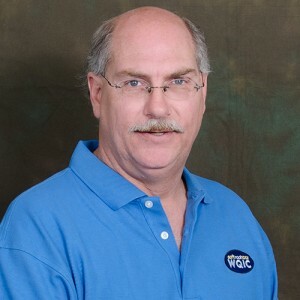 Jim is our On-Air Personality for WQIC from 7pm-1am. Jim is a 1981 graduate of Cedar Crest High School. We got him from a 50,000 watt FM in Gettysburg and WQIC is his 6th stop on the Radio train. Happily married to his wonderful wife Lisa, he has a Drummer for a son, so speak up when you talk to him….he may not be able to hear you. In addition to being an avid fan of radio, he also enjoys canoeing and music. You can also hear Jim just about anytime, anywhere on Lebanon Broadcasting as he wears many hats here at the station. Follow him @JimMcKwlbrWQIC on Twitter.